The way through the Seafoam Island caves is full of twists and turns, and you'll have to puzzle your way through to reach the south side of the island. 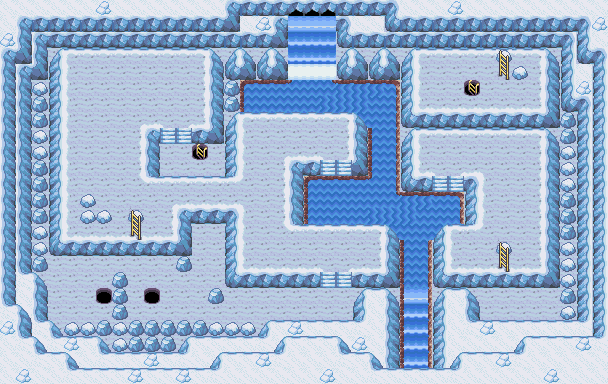 This complex labyrinth of caves hides one of the most powerful allies you can find: the Legendary Pokemon Articuno! You can't get through Seafoam Island unless you have a Pokémon that knows Strength. After you enter the cave, go east and push the boulder into the hole to the north. Now go to the steps north of the entrance and go up. Grab the Ice Heal. 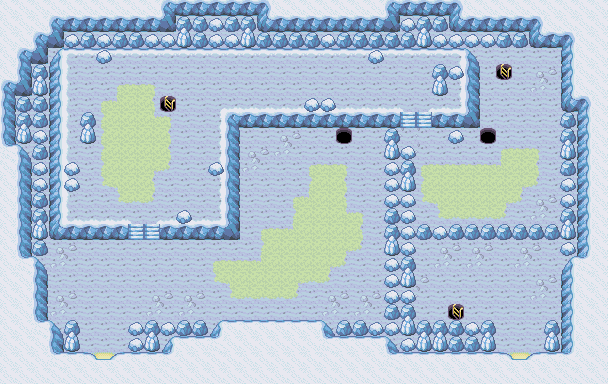 Within this cave you'll get your first chance to find a Seel, and more rarely, its evolution Dewgong. 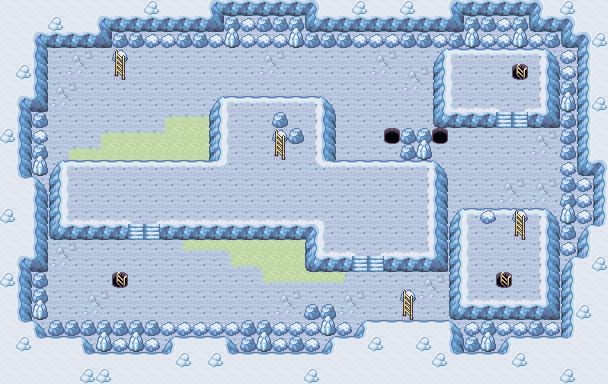 More importantly, the legendary Pokémon Articuno resides in the depths of these caves. 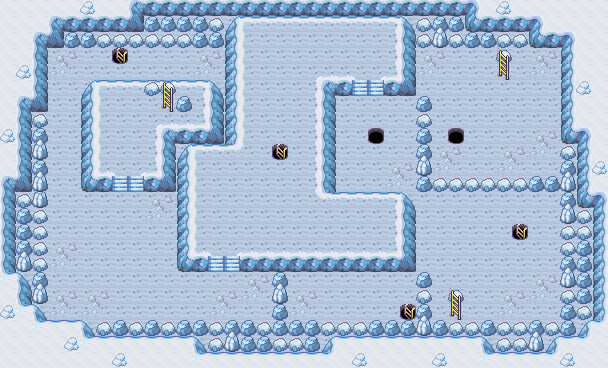 The two boulders on the first floor block the current on the third basement level, which makes it easier to get around, but is not necessary for catching Articuno. 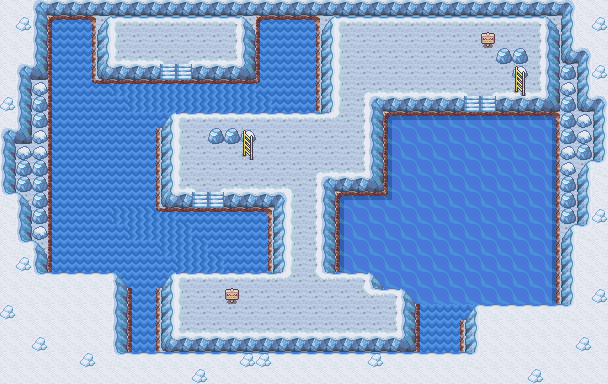 It's the two in the third basement that are important: knock the other boulders out of the way so you can get to the ones in line with the holes (if you mess up, leave this floor and they'll reset), then jump in after them, swim to the island in the northwest, and you'll find Articuno. Save your game before you face it. You should bring a lot of Ultra Balls, and remember to use techniques that inflict paralysis or sleep to make the capture more certain. Seel is a decent Water-type Pokemon, with average stats all around. Seel has no Water-type moves in its learnset, possessing mainly only Ice and Normal moves. Thus, Seel will not benefit from STAB advantages until it evolves into Dewgong, an Ice/Water Pokemon, at Level 34. Seel is not a bad choice to fill a spot in your team, Water and Ice being two almost essential types for your future fight against the Elite Four. It's just that there are simply more powerful and versatile Pokemon you can choose instead, such as Lapras or Cloyster. Seel is simply just not powerful enough and so it is best left in your PC. The Ice bird, Articuno, is the most popular of the three Legendary Birds. At a superior Level 50, Articuno sports the powerful Ice Beam, and its Mist move will make it difficult for you to catch it by using status effects such as sleep or paralyze. Despite this, Articuno will require some TM's before it can be of any use. Articuno sports the best stats of the Legendary birds, and will be a welcome addition if you don't have an Ice and/or Flying Pokemon in your team. However, remember that its dual type makes Articuno extremely weak against any Rock attacks. This page was last edited on 14 July 2017, at 04:57. This page has been accessed 556,184 times.